Guaranteed tough, heavy duty tape measure with 32mm wide, high carbon steel ToughBlade and rubber-reinforced ToughCase for added protection. Oversized metal impact plate prevents wear and protects the hook when dropped. Have a few of these stocked up but still on my first one as they are bomb proof. Has a great weight to it and just feels like it is made to last. There isn't much difference between this tape measure and other brand apart from this tape measure has out lasted all my other one. So will definitely be buying again. Amazing Bit of kit. Hard Wearing and durable. I would recommend this tape measure to anyone. Always worth spending that bit extra, i don't think this will disappoint anyone who purchases. i bought the twin pack tape measures with the 8m and 5m tapes. rugged and well built to withstand all the drops and knocks they get working on site. good piece of kit, I've been using them for years. 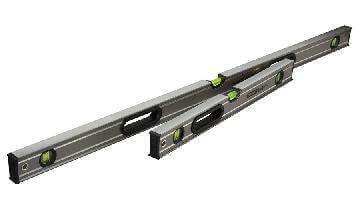 can survive a 10m drop onto concrete without an issue. strong, rugged and quality tape for the price. I bought this tape measure as an impulse buy on a sale, and what a good buy it was. It is one of the best tape measures I have. Robust it has taken many falls and had a few swims and still works fine. Bought this tape in an offer at Screwfix and has been put through all sorts of abuse even the apprentice and survived, good all round tape measure. Strong well made bit of kit, very robust with clear figures that even I can see, it even survived a drop of 15 ft from a ladder, if it does ever break, I will get the same again, price could be a bit cheaper though. This is my current preferred tape measure, chunky but not to big in size, rugged and very well manufactured. 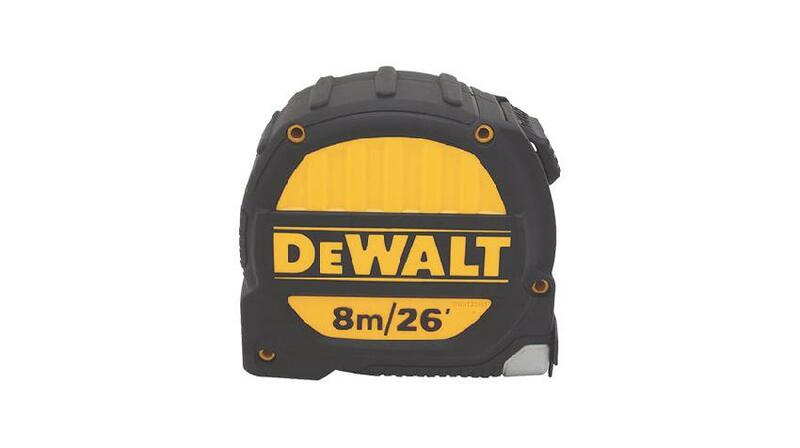 A very good tape measure and value for money, you will not be disappointed.